Air Côte d'Ivoire is the national carrier of Ivory Coast, based in Abidjan. The airline was created in May 2012, and provides direct and frequent flights at favorable schedule. Air Côte d'Ivoire employs 578 people, including 87 pilots, 174 flight attendants, 66 airplane technicians and 251 people on the ground. What is your assessment of the present state of the aviation sector in Ivory Coast and the surrounding region? Many things have happened in the last two years. We have grown from five aircraft to ten aircraft. We now fly the biggest fleet of all the West African operators. Traffic is performing well following our increase in capacity. We are on a good track to continue to improve even further. There are few newcomers to the sector, so it is a stabilized environment for the moment; although, this might change in the future. Is there the possibility that African companies or even international companies will come here? Is there pressure? It is a very dynamic environment, as with everywhere else. We have many competitors coming to Ivory Coast. We have newcomers and new airlines serving Abidjan because the economy is improving. There is a growth rate of 8 to 10 percent, and many companies are now tempted to come here in order to gain market share. This may not be true for the entire region, but it is especially true for Ivory Coast. Air Côte d'Ivoire is also working as part of a much larger scheme that was enacted along with the President to promote the country to become a hub. How are you progressing towards that target? We have grown from five aircraft to ten aircraft. We now fly the biggest fleet of all the West African operators. Traffic is performing well following our increase in capacity. We are on a good track to continue to improve even further. We are not only building the airline; we are building the hub of Abidjan. This does not only mean aircraft coming in and going out. In order to achieve this, the biggest challenge for us is human resources. We must have education for specialists to accompany the growth of the airline and the growth of the hub. In the last two years, we have made some big progress. Our first issue we tackled was with the pilots. Our pilots here were formed at the time of Air Afrique, which disappeared some 13 or 14 years ago. Now, new pilots are needed in the region. We have introduced an education scheme and we presently have 15 young pilots in school who will be joining our airline in six months’ time to fly on our Bombardier Q400s. We also have 20 young engineers at the university in Yamoussoukro who will be trained from scratch and who will be exclusively available for us as fully licensed engineers in four years. In addition, we are building a maintenance center in Abidjan to do not only our own maintenance, but also maintenance to third party airlines and other third party companies requiring support. Where are you in your dream for Abidjan to become a regional hub? What is left to achieve this goal? In the last five years, we have constructed a regional network. We are attractive to long haul carriers and carriers coming from other regions here to Abidjan because they can profit from the West African and Central African network of Air Côte d'Ivoire. That is very interesting for them. We feel very strongly that there is an appetite from airlines who want to change from certain destinations to come to Abidjan because they will cover not only Abidjan, but the entire region, through us. What has your company achieved? What growth do you project in terms of number of aircraft and number of destinations? We have had a very quick growth in the last four to five years. 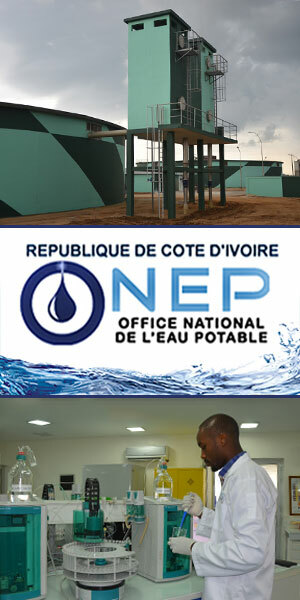 We have reached our West and Central African regional network practically to the full extent. In the coming year, we plan to add two or three destinations. The network is practically complete, but our fleet is still incomplete. We currently have four new Bombardier and we operate six older generation Airbuses. We are beginning to need to acquire new generation aircraft, now. For this, we needed a financing plan and investors who will accompany us with the buy in of this new equipment. The new generation engine of Airbus, the neo, can save up to 15 to 17 percent on fuel consumption. That is very important for us. It was a big challenge for us as a young airline, not even five years old, to find investors that would help us to finance such a fleet. But we were focused on this because it is an absolute must for us to have a new fleet, new aircraft and the product we have defined. We are almost there. The financiers have been found, the plan is set, and the first new aircraft arrive in 2017 and will be replacing the old ones. The fleet has no growth in terms of numbers, but the product will improve. What is the major challenge to this? What is the key to find investors willing to participate? What made them accept this project? You need to have a consistent and realistic business plan. And the past needs to show that you are reliable and that they can count on you. Since the inception of Air Côte d'Ivoire, we have always followed the budget, and we have done better or at least met that budget. To the investors, we were credible, and credibility is everything. We also have management, from the chairman down to the top management, who have been here since the beginning of operation. We do not have any changes. We have defined the path, we follow the path, and we produce returns. That is what investors are looking at and that is why they were ready to finance the aircraft and join us on our path. What is the return for investors? What can they expect? Our business plan tells us that we will be profitable from 2018. 2017 will probably be the last year where we will show losses, although we try to avoid them. To have a profitable airline in this part of the world is a comfort for investors. How do you project yourself in the medium term in two to three years’ time? What will be Air Côte d'Ivoire in 2019 if all goes to plan? In 2019, we will be a very strong regional carrier surrounded by partners doing the long haul and the longer regional part within Africa. We will have partnerships who will operate together with us on an alliance basis to reinforce the hub of Abidjan. And we will be the leading feeding airline throughout the region here. Would you be part of a program where major groups of companies come together for miles and other client benefits? Air France is one of our shareholders. We are definitely developing this partnership into not only shareholding, but also into a commercial relationship to be a partner of SkyTeam here in West and Central Africa.